Historyworks is starting a new public art project in Cambridge which will run from the September 2017 to December 2017, and we'll invite a large number of singers from local schools and community choirs to come together to perform new pieces for voice and body percussion which we will perform at the Winter Fair on 2nd December 2017. 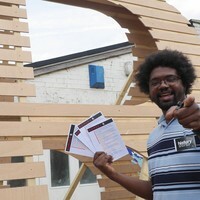 The project is called 'Rhythm, Rhyme & Railways' to tell the story of how Cambridge changed when the railway came in 1845. 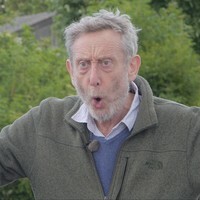 We are working with top writers, the renowned poet Michael Rosen, and the witty lyricist, Dave Cohen (the CBBC's Horrible-Histories Song-writer); and partnering with a range of local historians and experts to help us find the significant stories to translate into song. The Musical Director of the Railway Singers will be Mario Satchwell with support from Tizzy Faller & Bethany Kirby who has done a brilliant job as the Musical Arranger for the lyric pieces by Michael Rosen and others. Helen Weinstein has been leading the research about the railway, working with Tizzy Faller and our group of History PhD student interns, using many of the resources of the Mill Road History Society, such as the research on the railway cottages, and the fantastic archive based at the National Railway Museum in York. 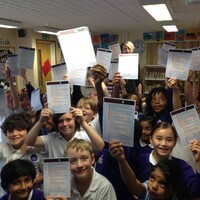 We'll collect stories locally too to add to the narrative of the poems and online resources. 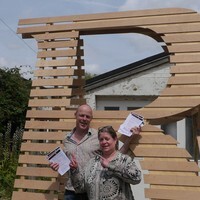 Harry Gray, a sculptor who works on large-scale public artworks, is making the 'Romsey R' in partnership with the typography expert, Will Hill, which will be cast in bronze to look like an 'R' made of railway tracks, and located in perpetuity on the corner of Cavendish Road and Mill Road just over the railway bridge marking the main neighbourhood where railway workers and their families came to work and live in Cambridge in the Victorian period. Historyworks is involved in collecting words for the sculpture, to be carved onto the Romsey 'R' and this has involved visiting many schools and community events to encourage the public engagement with the artwork, asking audiences to fill in Romsey R postcards in order to collect railway journey start and end destination points to be carved into the sculpture, and the accompanying stories and remarkable memories surrounding these destinations. 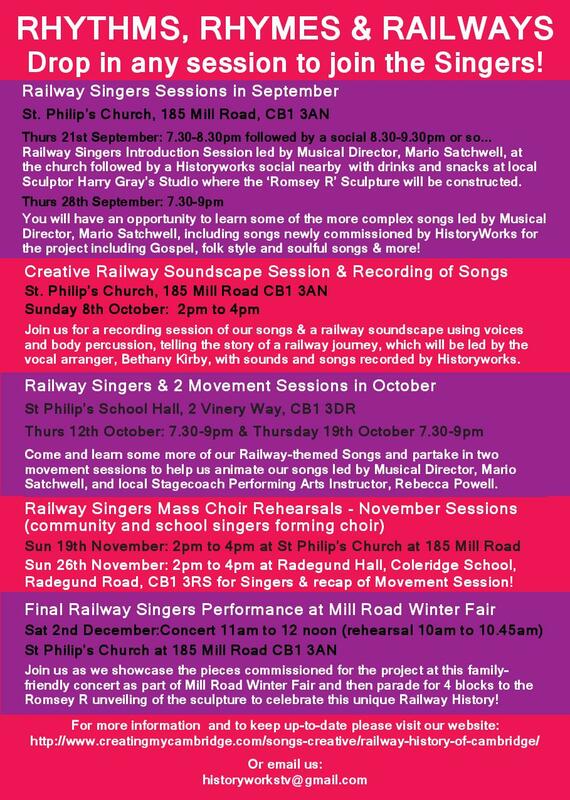 In the next phase of the project, the Historyworks team is running a series of free community choir sessions in the Autumn to rehearse and record the songs, for the children then to learn them in school assemblies and choir rehearsals, and then to record some improv railway pieces, and body percussion and drumming sessions. There will be two large public rehearsals in November, (2pm to 4pm on Sunday 19th Nov and Sunday 26th November) to learn singing and body percussion and movement, in preparation for a performance of all the pieces in St Philip's Church on Mill Road, which will be held between 11am and 12 noon (following a rehearsal from 10am) when families can come along and join in too on the date of the Mill Road Winter Fair, which is Saturday 2nd December, 2017. There will also be a series of workshops in October and November, featuring the poet Michael Rosen and the CBBC's Horrible Histories Songwriter, Dave Cohen, organized for primary and secondary students from the local schools, which will led by Helen Weinstien and designed to inspire young people and elders to join in the project for composing poems and songs so that hundreds can be involved in responding to the Railway story of Cambridge, travel and migration, change and development of a city, by writing their own poems and songs which Historyworks will record to showcase on the screens at St Philip's Church and for an online exhibition to be launched on 2nd December on the date of the unveiling of the Romsey 'R' sculpture at the Mill Road Winter Fair 2017. 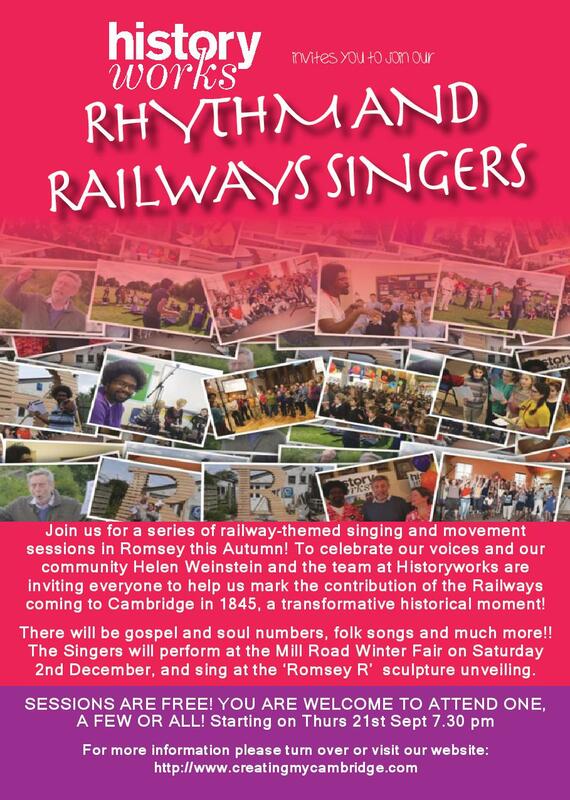 Anyone in Cambs who would like to join the Railway Singers is welcome to participate because there will be no auditions, but we hope to have some experienced singers to anchor the choir, because we are partnering with a local choir which has met in Romsey for the past 5 years called Sing! Community Choir. Mario Satchwell (with support from Tizzy Faller) will be the Musical Director for the Thursday evening September and October sessions. Bethany Kirby will be the MD for the Sunday 8th October soundscape session. Helen Weinstein and Jon Calver from Historyworks will record songs in top audio quality to share with others in Cambridge and create a legacy album. 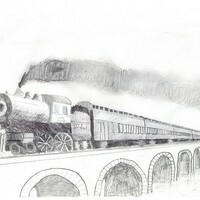 New songs and percussive pieces about the railway have been composed this summer. We will be meeting in the Sing! Community Choir slot of 7.30pm to 9pm on several Thursdays in September at St Philip’s Church at 185 Mill Road, CB1 3AN . 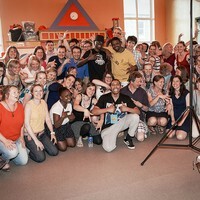 We hope to have the body of the Sing! Community Choir at the Thursday sessions to record the songs for other community participants and the schools to learn ready for our mega rehearsals in November prior to our main performance at the Mill Road Winter Fair which will be a participatory event celebrating the project, which will also be hosted at St Philip's Church at 185 Mill Road. Railway Singers Rehearsal Session on 28 September - Mario Satchwell, the 'Railway Singers' Musical Director will teach the more complex pieces, with new railway pieces co-composed by Helen Weinstein and the CBBC's Horrible Histories songwriter, Dave Cohen, with harmonies composed by Bethany Kirby. 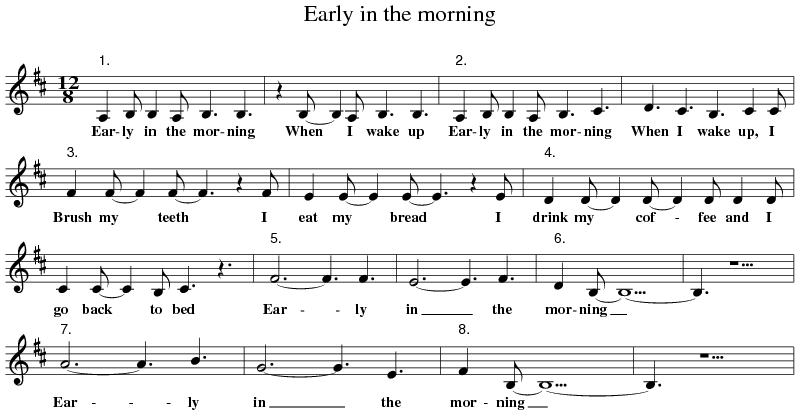 We will record these songs in parts in order to make it easy for school singers to learn from mp3s, and then as a whole for the project, for wider family and friends to join in for the November and December rehearsals and performance. Mario hopes too to teach us one or two big train gospel numbers!! Singing & Movement on October 12th at St Philip’s School Hall (led by Mario Satchwell for the body percussion to illustrate two new rhythmic poems by the famous poet, Michael Rosen for the first 45 mins & then after the break we've booked Rebecca Power to lead a movement session so that we can put fun actions to accompany the songs! Family Sunday rehearsal sessions: On two November dates, early afternoon on Sunday 19th November and Sunday 26th November 2pm to 4pm, we will recap all the songs and movement pieces we learnt together in Sept/Oct in community choirs and bring people together with family members to help us form a mega choir with the primary and secondary school singers who will have learnt the songs during the Autumn. 11am to 12 noon on December 2nd at St Philip’s Church at 185 Mill Road, and then parade for 4 blocks to the Romsey R unveiling of the sculpture as part of the Winter Fair - yay! A new sculpture has been commissioned to celebrate the people and history of Romsey and the relationship with the railway. The Mill Road area is historically associated with the railways since it was developed in the nineteenth century to provide homes for the railway workers and their families. Harry Gray, who specializes in stone carving and bronze sculptures is working with Will Hill, who is a typographer, to build a Romsey R the height of a house, to be situated on the corner of Cavendish Road and Mill Road. 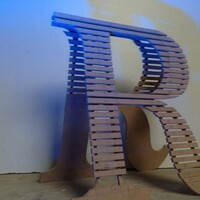 The sculpture is to be an R shaped sculpture, in a bespoke typeface designed with reference to the existing lettering on the original Victorian lettering around Mill Road. 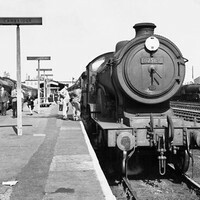 The Romsey R sculpture will feature some of these stations or destinations that have been significant to local people. Here are some of the great responses from the people of Romsey, both young and old, of fun, poignant and meaningful train journeys they have taken. Some of the stories are recent, while others took place on train lines that closed many years ago! “Spending the night with other passengers, talking, singing and sharing food and drinks, The journey took 11 hours! We didn’t sleep at all, but I remember getting out of the train really excited. We were to spend two weeks up in the mountains! If you have a request or suggestion for a railway piece – whether it be a rap, song, poem, round, improv– please be in touch with Helen Weinstein, the Director of the project, so that she can scope how we can act on your request. So far, Mario Satchwell and Tizzy Faller and Helen Weinstein have done some brainstorming and come up with the following ideas with help from colleagues. Back Once More get Home on Time! A cat med-i - tat-ing on a Rail -road track. Cat! You'd better get, You'd better get back, Don't do that! And it's no, nay, never! Saying, "Custom like yours I can have any day"
Is that the Chattanooga Choo Choo? Boy, you can give me a shine. And just a trifle to spare (And just a trifle to spare). Than to have your ham 'n eggs in Carolina. Won't you choo-choo me home? Chattanooga Choo Choo, won't you choo-choo me home? Early in the morning when I wake up. For Primary Choir Eagle Train Celebratory Song = Oh I do Like to Live Beside the Seaside!